Malaysians have rejected Barisan Nasional so overwhelmingly that the electoral system designed to protect its rule has been overcome. The party received its lowest popular vote in history, around 36%, and won only 79 seats in a 222-seat federal parliament. The once multiracial coalition has been stripped back to 54 seats held by core party United Malays National Organisation (UMNO), with another 13 held by United Bumiputera Heritage Party (PBB), UMNO’s partner in Sarawak state. There is barely any representation left from its other component parties, including the Malaysian Chinese Association and the Malaysian Indian Congress. On Sunday night, police cordoned off defeated former prime minister Najib Razak’s street, after Malaysia’s new leader Mahathir Mohamad stopped him from leaving the country on the weekend. Mahathir is moving fast to reinstate an investigation into Najib’s connection with the billions of dollars missing from Malaysia’s 1MDB development investment company. The rout has been comprehensive. Before the election, however, Malaysians weren’t prepared to give their voting intentions away without a lot of careful prompting. UMNO was formed in 1946 as an elite, racialist response to a multiracial, nationalist alliance of parties, including communists, and came to power in an emergency that wiped out its competitors. Having held government through Barisan Nasional and its predecessor, the Alliance, ever since, UMNO celebrated its 72nd birthday on 11 May in abject defeat. Najib has resigned and, for now, presidency of the party lies with his former deputy, Ahmad Zahid Hamidi, elected without a competitive ballot, while his cousin, Hishammuddin Hussein, will serve as Zahid’s deputy. Former UMNO youth leader Khairy Jamaluddin has also made a leadership pitch to transform the party into an “effective” opposition, although it remains to be seen whether UMNO will accede to democratic reforms and learn to compete electorally. Its other option is to attempt to frustrate these reforms instead. Either way, a broken UMNO might decide to band together with opposition Pan-Malaysian Islamic Party (PAS), which won 18 federal seats. PAS’s electoral game plan had been to step in to rescue a weakened Barisan and offer to form government together with them, in return for UMNO delivering its Islamist agenda, including the possibility of hudud laws based on Islamic precepts. The national voting public put a stop to that, but PAS has power in two northern states, Kelantan and Terengganu. PAS also came close to establishing “Muslim-cabinets-only” or “no-oppostion” governments with Barisan in Perak and Kedah states, although Mahathir’s Pakatan Harapan alliance has since secured the ability to form governments in both. PAS held Kelantan in 1959–77, and has been in power there since 1990, and while their victory also represents an anti-Barisan protest vote, these states have been connected to global Islamist trends since the early days of steamships. In the 1920s, for example, against a global order in a state of flux, Terengganu saw an uprising against British colonial power that used the flag of the Ottoman Caliphate as its emblem – well before Southeast Asian Islamists began using the black ISIS flag instead. Meanwhile, the new government has appointed a cabinet after a campaign which also drew heavily on changing regional geopolitics and Malaysia’s colonial history, mobilising the threat of Chinese colonisation to neutralise accusations that it was a front for local Chinese to seize power from Malay Muslims. Externalising the Chinese threat allowed new Prime Minister Mahathir Mohamad to craft a campaign message that Malaysians are a multiracial people throwing out a corrupt government selling the nation to China in exchange for its bailout of Najib’s scandalous 1MDB debt. 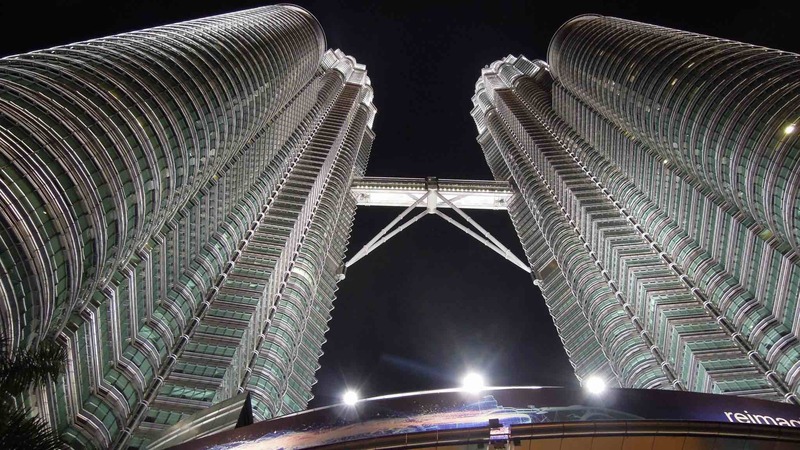 Now, however, the campaign is over, and Mahathir has announced to the world that Malaysia is open to most foreign investment, whatever its national and ideological origins. Chinese projects, including the East Coast Rail Link, will likely have their contract terms renegotiated, and Mahathir is appointing an adviser to help recover 1MDB’s missing billions, with potential to partially refill the underlying financial black hole which he argues has made China such a prominent investor in Malaysia. After his campaign pointed to Chinese projects encircling the Malay Peninsula, development projects will face some new limitations. But Malaysia’s Islamist lobby seems to have laid the groundwork for a new campaign of its own. Its apparent aim is to blur the difference that Mahathir relied on between the People’s Republic of China and Malaysian Chinese, who a state mufti referred to in 2016 as kafir harbi, or infidels in a state of war against Islam and Muslims. If UMNO, PAS, and a constellation of Islamist lobby groups combine forces to link these groups of Chinese, Malaysia’s racial and religious identity politics machine might swing back into action, painting pious northern Muslims as an embattled minority in a changing nation and changing world. It remains to be seen how neighbouring Thailand perceives developments in Kelantan and Terengganu. These states, which border on Thailand’s own restive south, were Siamese tributaries until Britain claimed them as part of its Malayan colony in negotiations that created Malaysia’s international border with Siam in 1909. Mahathir’s new cabinet features Wan Azizah Wan Ismail, the nation’s first woman deputy prime minister, and Lim Guan Eng, its first ethnic Chinese finance minister in 44 years. It has received assurance from Malaysia’s King that he will grant an immediate pardon to imprisoned leader Anwar Ibrahim, securing his early release from prison. The cabinet is also beginning to experience its first debate about how to best implement structural democratic reforms beyond this historic election result. Civil society groups are urging Mahathir to cease negotiating with “frogs” aiming to jump from Barisan Nasional’s defeated parties into the Harapan coalition. Yet the larger the Harapan coalition grows, the closer it gets to achieving a two-thirds parliamentary majority, allowing it to initiate constitutional changes entirely unilaterally – a tempting state of affairs for a polity unused to negotiating reforms across party lines. The price it might need to pay includes sheltering individuals with reputations for corruption, or who have no idea how to live their lives stripped of the power they had accrued. Meanwhile, there are indications that the process of selecting cabinet members is the subject of intense bargaining between the new parties of government. Sections of the People’s Justice Party, led by Wan Azizah and Anwar, feel sidelined after two decades of campaigning for this victory, now seen by many others as Mahathir’s. The new government will have a lot of decisions to make about how to implement the reforms Malaysians have shown they want, including what to compromise over and on what basis.